JOIN US EVERY TUESDAY IN FEBRUARY AT NOT YOUR AVERAGE JOE'S BURLINGTON! We love this company! MCEC has been selected as the 'Not Your Average Cause' recipient for the month of February. 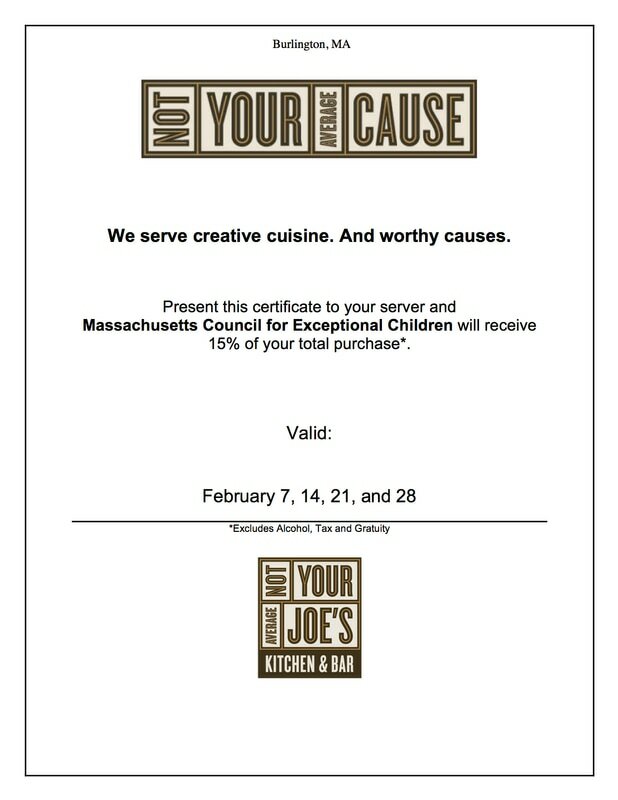 Each of the Not Your Average Joe's locations sponsors a different non-profit in the surrounding community each month to give back. ​ We'll be the recipient in Burlington and receive 15% of all purchases made by our supporters. Please bring our cause certificate (see below), which you can print by clicking the PDF symbol below! Please share widely and support this great company, whose support will help us continue our speaker series and our Scholars Program. Thank you, Not Your Average Joe's!